A beautiful, handmade Little Dog coat hanger. The perfect gift to add some magic to a little wardrobe. 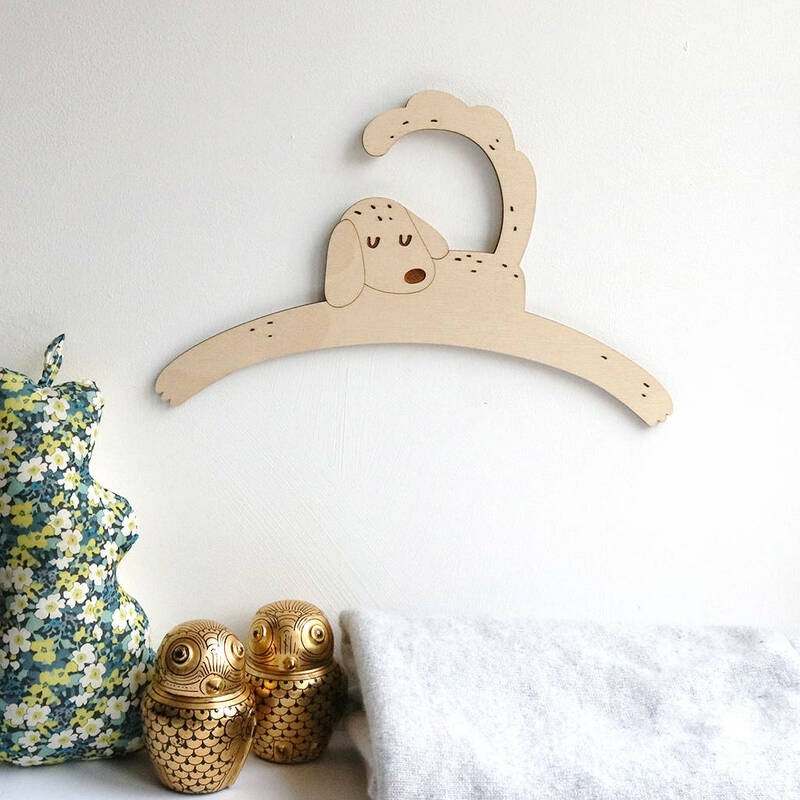 Need a new baby gift? 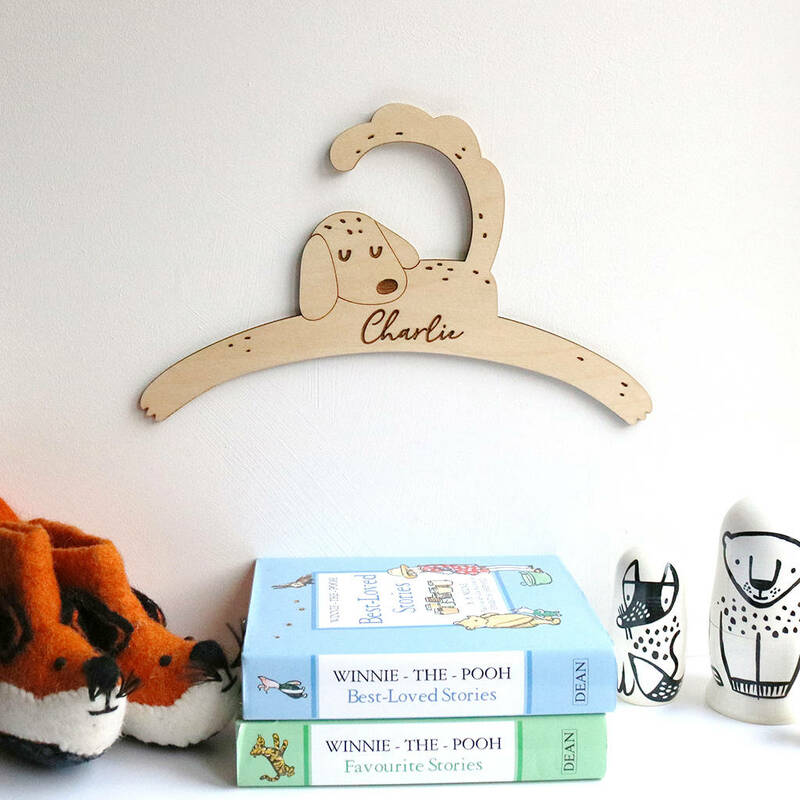 Our little dog coat hanger for babies is the perfect keepsake for a new arrival. 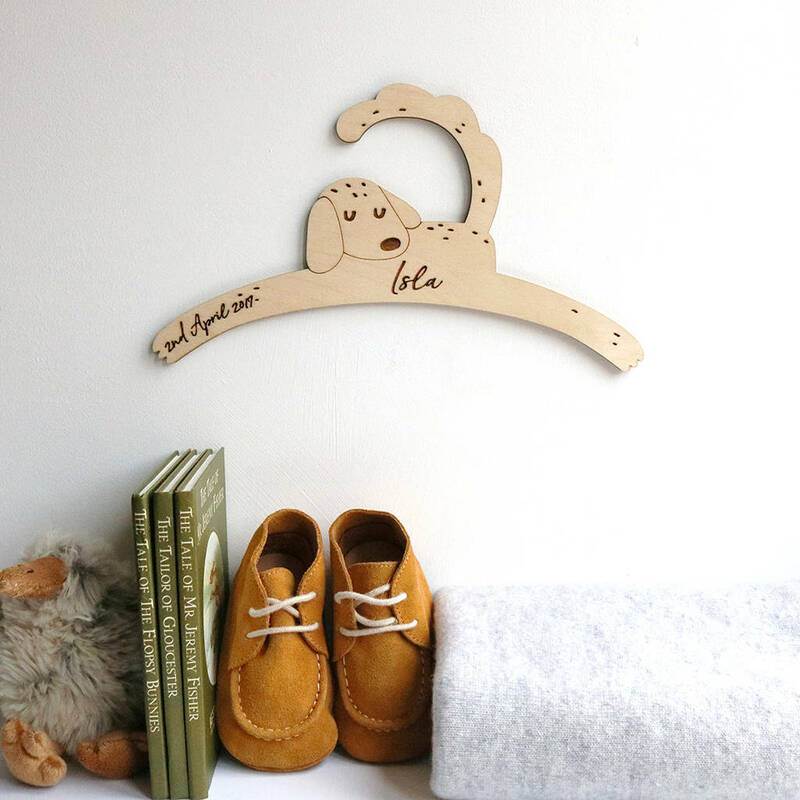 Carefully handmade from wood in our Sussex studio, our little dog coat hanger will definitely make you smile.